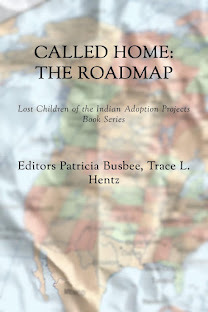 Adoptive Couple v. Baby Girl is a case in which the South Carolina Supreme Court held that a Native American (Indian) child could not be adopted by non-Indian parents without complying with the requirements of the Indian Child Welfare Act (ICWA). The court ordered the child returned to her biological father after she had lived with her adoptive parents from birth until 2 years of age. 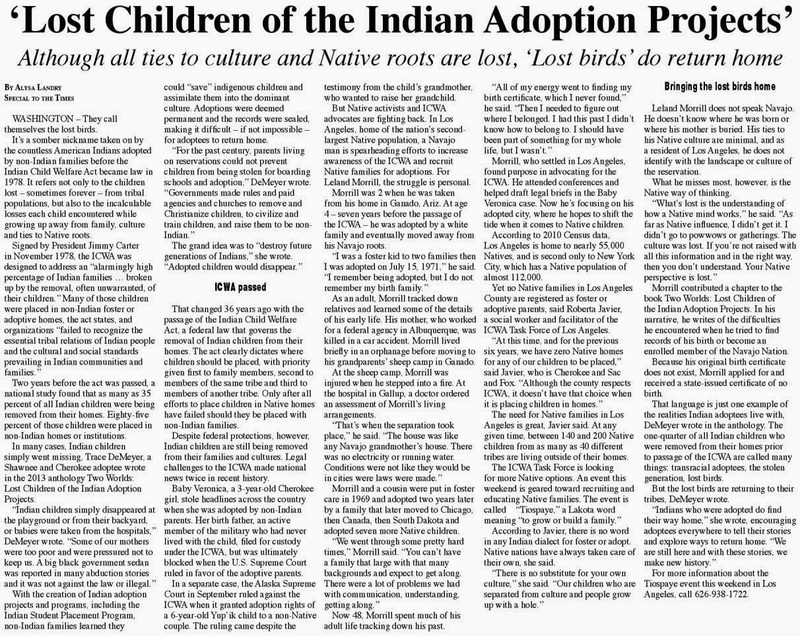 In 2009, a couple from South Carolina sought to adopt an Indian child from her non-Indian single mother in Oklahoma. The biological father contested the adoption on the grounds that he was not properly notified in accordance with ICWA, and won his cases in trial court and on appeal with the state supreme court. The case has received extensive coverage in the national media, and spurred calls for Congress to review and make amendments to the 1978 law. 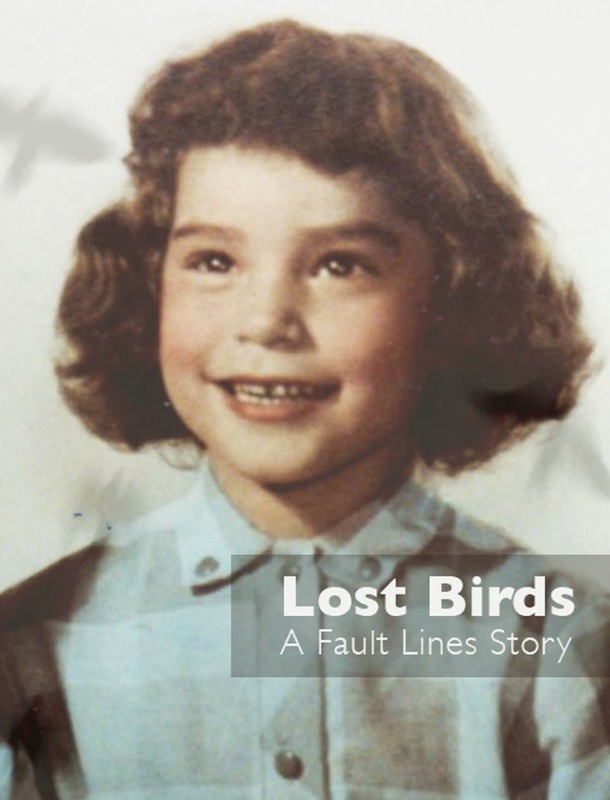 On October 1, 2012, the adoptive couple petitioned the United States Supreme Court to review the case. On January 4, 2013, the court granted certiorari and will hear the case on April 16, 2013. Washington, DC—The United States federal government and 19 states are among a broad coalition who filed amicus briefs yesterday with the United States Supreme Court supporting the rights of Native American father Dusten Brown and his daughter, Veronica, to remain together as a family, calling for the nation’s highest court to uphold a previous South Carolina Supreme Court decision. The well-being of Veronica, the Brown family, and the importance of the Indian Child Welfare Act (ICWA) is a focus of all the briefs. The case Adoptive Couple v. Baby Girl, to be heard by the Supreme Court on April 16, 2013, involves a South Carolina couple seeking review of a South Carolina Supreme Court ruling and attempting to force Dusten Brown, a member of the Cherokee Nation, to give his daughter Veronica up for adoption. Mr. Brown, who is now raising Veronica at their home in Oklahoma, has prevailed in every court that has considered this matter, including the South Carolina Family Court and the South Carolina Supreme Court. Joining the U.S. Solicitor General Donald Verrilli and 19 states, including 18 state attorneys general, are a large array of groups who submitted 24 separate briefs in all. 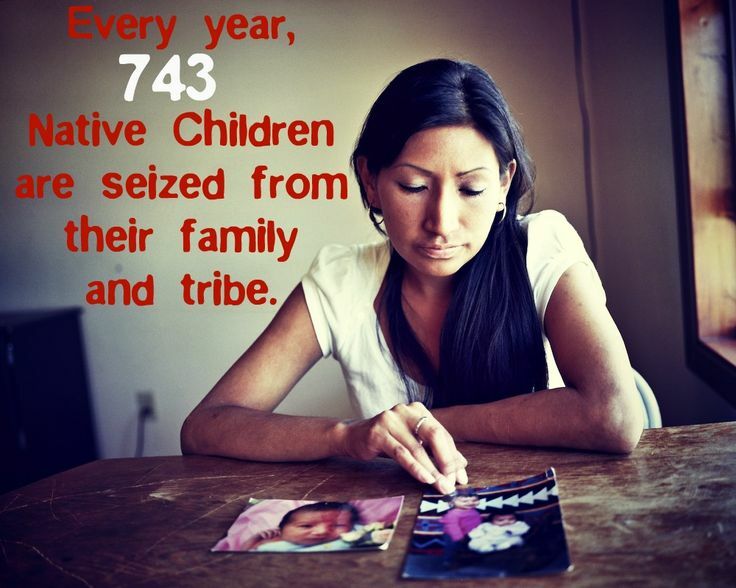 The overwhelming support includes 17 former and current members of Congress; Casey Family Programs, the Children’s Defense Fund, and 16 other child welfare organizations; the American Civil Liberties Union; broad coalitions of psychology associations, child advocates, and legal experts; adult Native American adoptees; and tribal amicus briefs which include 333 American Indian tribes. “The broad base of support in this case is historic. In the history of the work of the Tribal Supreme Court Project, no Indian law case has generated more of a unified message to the Supreme Court about Indian law,” said Richard Guest, staff attorney for the Native American Rights Fund (NARF), noting the outpouring of interest and support for Veronica, the Brown family, and ICWA. Many of the briefs highlight the findings of the South Carolina Family Court, which found that “the birth father is a fit and proper person to have custody of his child” who “has convinced [the Court] of his unwavering love for this child,” and were upheld by the South Carolina Supreme Court. The amicus brief of the United States federal government emphasized the importance of ICWA, stating that "the United States has a substantial interest in the case because Congress enacted ICWA in furtherance of 'the special relationship between the United States and the Indian tribes and their members and the Federal responsibility to Indian people.'" The brief further defends the constitutionality of ICWA, arguing that "ICWA, which is predicated on Congress's considered judgment that application of its protections serves the best interests of Indian children and protects vital interests of their parents and Tribes, does not violate any substantive due process protections." It concludes that "[t]he South Carolina courts properly awarded custody of Baby Girl to Father." In the brief of leading national child welfare organizations, the best interest of the child is highlighted, in addition to the value of ICWA. No one understands the human toll custody disputes can take more than amici, 18 child welfare organizations who have dedicated literally scores of years to the on-the-ground development and implementation of best practices and policies for child placement decision making. Amici have seen up close what works, and what does not. In amici’s collective judgment, ICWA works very well and, in fact, is a model for child welfare and placement decision making that should be extended to all children. Much forward progress in the child welfare area would be damaged by rolling the law back. A brief from Arizona Attorney General Tom Horne was joined by attorneys general from 17 other states—Alaska, California, Colorado, Connecticut, Georgia, Idaho, Illinois, Maine, Michigan, Mississippi, Montana, New Mexico, New York, North Dakota, Oregon, Washington, and Wisconsin— and argued against interference in the relationship between states and tribes in matters regarding ICWA, asserting, “States and tribes have collaborated to ensure that the mandates and spirit of ICWA are fulfilled…. Early and complete compliance with ICWA ensures the security and stability of adoptive families as well as tribes and Indian families.” The State of Minnesota Department of Human Services also filed a brief. Not one state submitted briefs in support of Adoptive Couple. In 1978, Congress enacted ICWA in direct response to state adoption policies that were draining Indian tribes of their future citizens. Such practices threatened the very existence of Indian tribes. Without children to grow up as their citizens, tribes would be left with no one to speak their language, carry on their traditions and culture, or participate in their tribal governments…. Ultimately, any decision limiting Congress’s authority to pass legislation like ICWA…would effectively preclude Congress from exercising its plenary authority in Indian affairs, and render Congress unable to fulfill its historic duties as trustee to the Indian tribes. 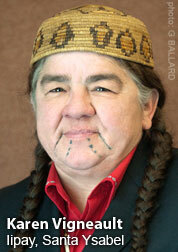 Two national tribal amicus briefs were submitted. The first, focused on the legislative history and importance of ICWA, was submitted by the Association on American Indian Affairs, NCAI, and NICWA, who were joined by 30 Indian tribes and five Indian organizations. A second national tribal amicus brief addresses the constitutional issues raised by the petitioners and also includes 24 tribal nations and organizations. The members of the Tribal Supreme Court Project—NARF and NCAI—in partnership with NICWA, joined together to organize the briefs in support of the father. In all, 333 tribes submitted briefs in support of the father. Oral arguments for Adoptive Couple v. Baby Girl will be held on April 16, with a decision expected shortly thereafter.